When: Tuesday, April 12th @ 11:15 a.m.
Join us at Bartini's, 7 p.m. on April 15th. Please Ignite responsibly. Do any of these key words inspire you to want to learn more about it at the NCSM/NCTM conference next week? 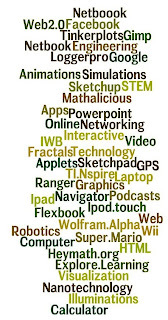 This wordle was created using words from the titles and descriptions of all the tech-themed sessions at NCTM. Here is a list of all these sessions at NCTM (link). Are you speaking at NCTM and would like to "improve" the current listing of your session (which you sent in last May) on the NCTM website? We can't change theirs, but you can change ours! 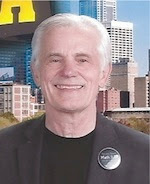 Go to the site CLIME technology-themed sessions and review your listing there. Then let me know (by email) if you want to change anything, share more info or add some reference links. I will make the changes for you immediately. With the increased use of laptops and hand-held devices at NCTM conferences more attendees will be aware of the CLIME site and would use your latest information to help them make better informed decisions as to which sessions to attend. Also you can refer attendees to the CLIME site (http://clime.org) where they can click on "Click here" to get to the sessions. Want to stay better organized at the conference? There's an App for that. Get the new NCTM Conference app now available for Android and iPhone. 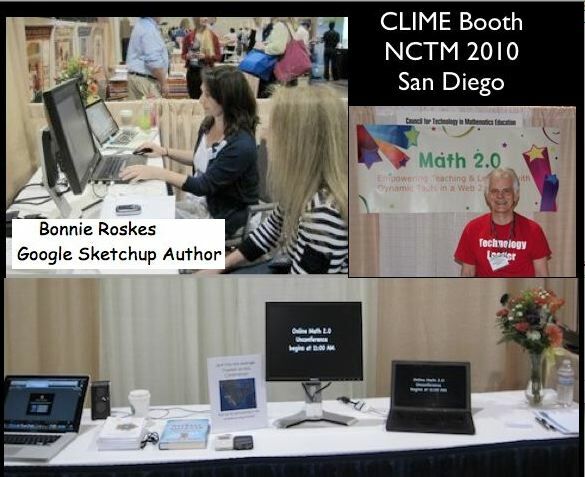 If you are going to the NCTM conference, you can be a friend of CLIME and help us a bit. As you may know CLIME is an at-large-affiliate group of NCTM – now in its 23rd year - working hard to help change the current prevailing paradigm of teaching and learning as a passive endeavor to a more proactive one where students and teachers work together to create empowering learning environments using dynamic math and Web 2.0 tools – something we call Math 2.0.
represent CLIME at the NCTM affiliate at-large Caucus meeting. (See footnote #2). Since David and I are leading a discussion special interest group session at NCSM (#351) we will not be able to attend. No previous experience needed. 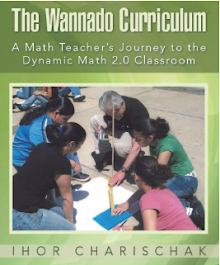 All you need is an interest in (1) how NCTM works "behind the scenes" (2) how CLIME pursues its vision and (3) spending some bb time talking about 1 & 2 with David and me. Suggest ideas for the long, overdue revised constitution that CLIME is currently working on. Spend some quality time (an hour) at the CLIME booth chatting about the CLIME vision and learn more about how Web 2.0 is helping to transform professional development. Thanks. Hope to see you at the conference. We’ll be in booth 326 starting on Thursday at 8:30 when the exhibit hall opens. Tweet or email me if you want connect sooner. I’m joining a few attendees at a Tweetup on Tuesday, April 12th. Follow me @climeguy or email me for more details. Focus on STEM. Here's the listing of the sessions in the Science, Technology, Engineering & Math Strand. 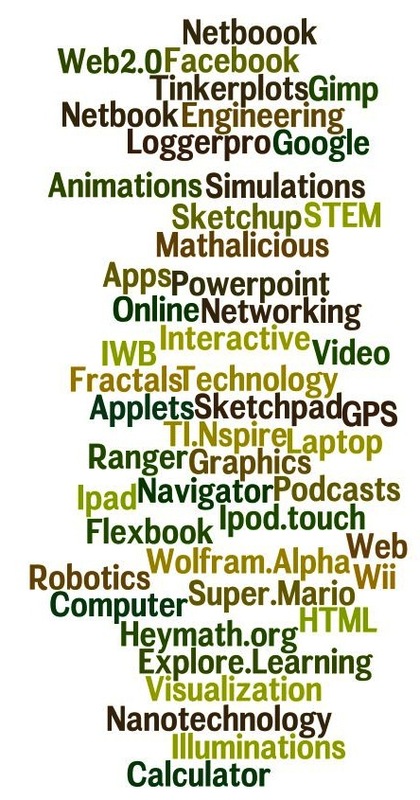 Other technology-themed sessions at NCSM. 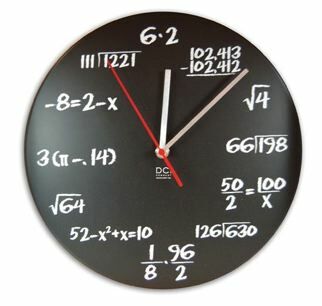 My wish list. If I wasn't tied to the CLIME booth for most of the conference or if I could clone myself, here are some friends of CLIME whose sessions I would definitely attend. *The above were (or will be) participant hosts of the Math 2.0 Live Elluminate event. Follow Illuminations on Facebook. Find out what happened to Okta, the Calculation Nation® superhero. You could win a prize. Taking a smartphone with you to NCSM and/or NCTM? Download NCTM conference mobile app (free) to find useful conference goer information. Thursday, April 14 - 11:00am - Booth 326 in the exhibit hall. Use your smartphone app or online to find it! 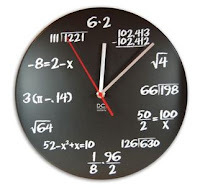 If you can't make it at 11 then stop by anytime so I can add you to the NCTM Conference twitter list. We'll schedule as many as interest indicates!